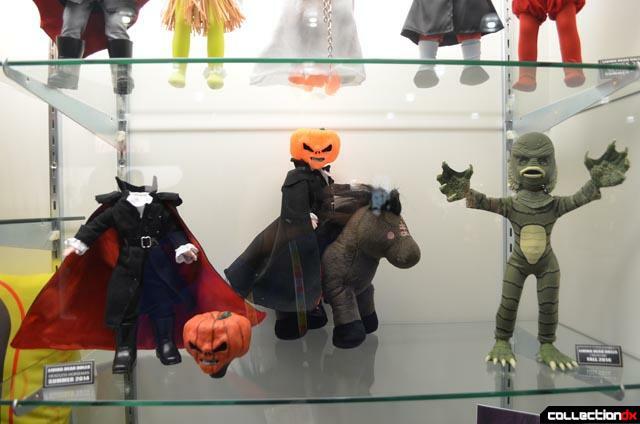 Mezco had a nice display of its current and future products. For those who can’t wait till fall for the talking Chucky’s release, Mezco is releasing the smaller Chucky figure in the summer. 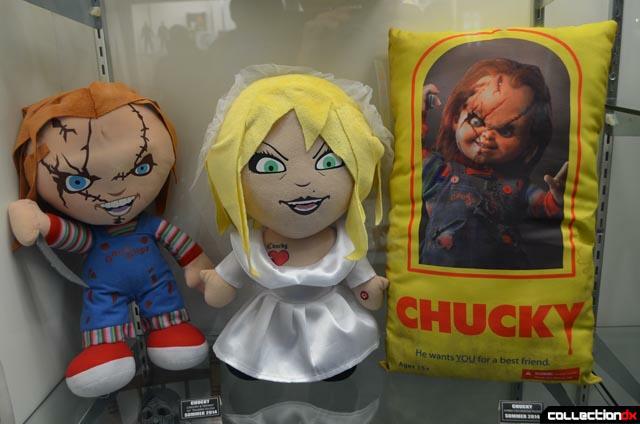 Mezco will also be releasing a few soft and cuddly products of the homicidal doll (and his bride). 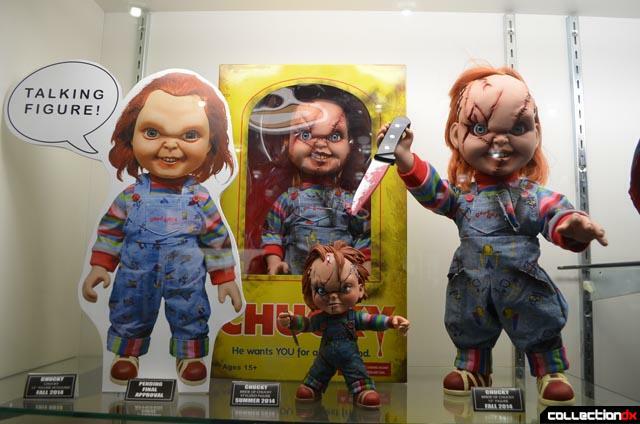 Who wouldn't want to wake up in the morning to Chucky holding a knife at you? 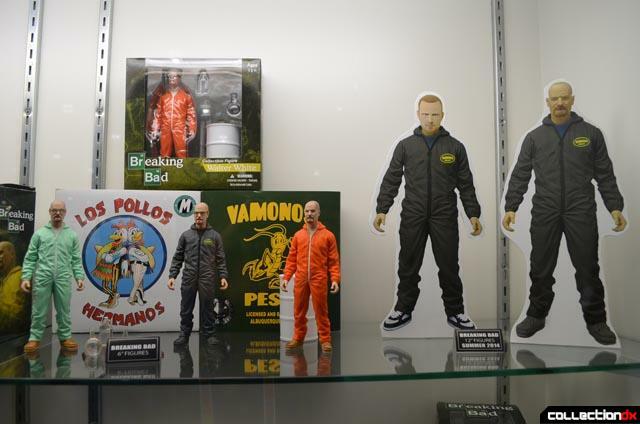 Also on display were Mezco’s Breaking Bad figures. 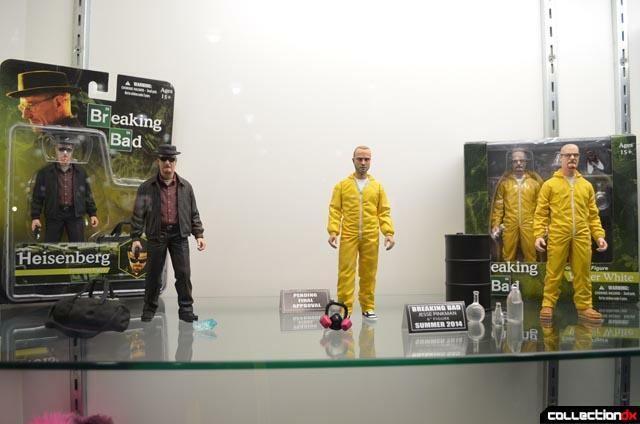 Mezco will be releasing several variants of Walter White and is awaiting approval to release the Jesse Pinkman figure. We were told that a dream toy for Mezco’s Breaking Bad line would be a bobble head with a certain turtle with a head on its back. So who knows, perhaps if us Breaking Bad fans support the current Mezco Breaking Bad offerings, we may just get to see that twisted bubblehead become more than a dream. 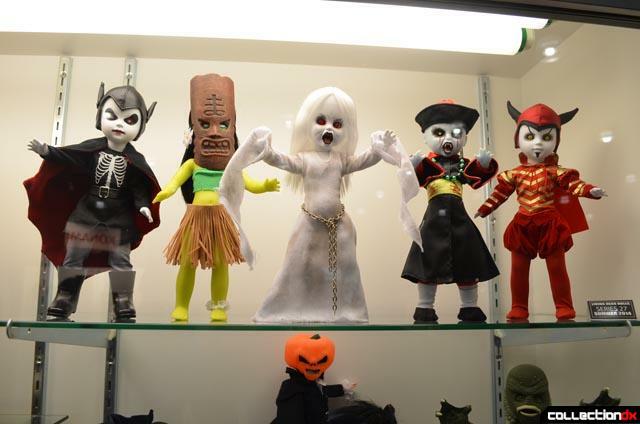 A few Living Dead Dolls. 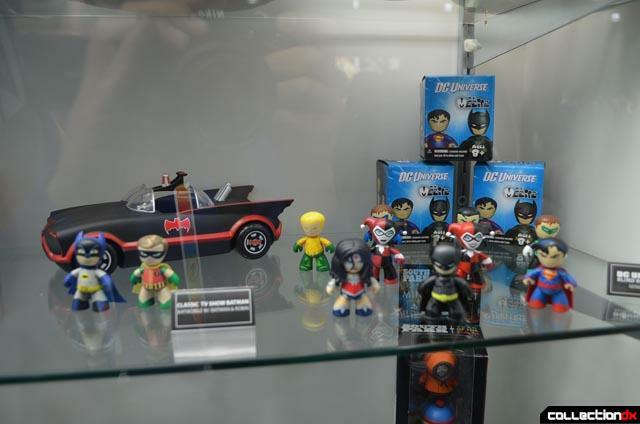 Classic TV Series Batman and DC Universe figures.